The 2018 Perth Lavazza Italian Film Festival screens at Cinema Paradiso, Perth, and Luna On SX, Fremantle, from 27 September to 17 October! The Perth Lavazza Italian Film Festival always features a diverse selection of movies, from box office smashes to weird and wonderful indie – there’s something for everyone. I don’t have any specific recommendations for this year’s program (although I will do my best to follow up in the next few days with a review of one of the films featured). But of course, half the fun of any film festival is in perusing the program and picking out something that looks promising. There are sure to be some little gems that you will probably not have a chance to see elsewhere. It’s part of the tradition of the Perth Italian Film Festival to close with a classic. In 2016, it was one of my favourite films ever, the delightful Roman Holiday. Last year, it was Roberto Benigni’s Oscar-winning Life Is Beautiful. This year, it’s A Fistful of Dollars, Sergio Leone’s first “spaghetti western” – and in my view, one of his best. Where else are you going to see this landmark western again on the big screen? This year’s Festival also features Dario Argento’s 1977 supernatural horror film Suspiria, digitally restored. There’s a remake of this out soon – here’s a great opportunity to check out the original. The Festival highlights can be found on the Luna-Palace and Cinema Paradiso websites along with program and screening times. 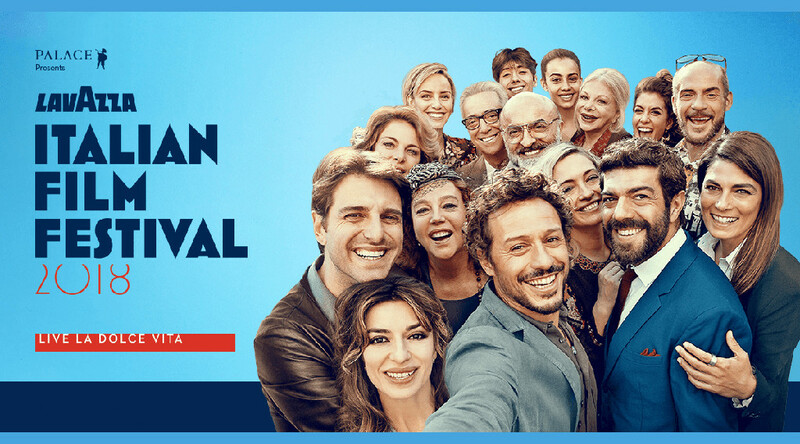 Here’s a link to the 2018 Italian Film Festival website, which has details of Festival programs and screening times in all Australian capital cities. There ya go – all the details you need. CYA there.